Automobile manufacturer Tata Motors on Wednesday launched the next generation of compact sedan -- Tata Tigor -- in both petrol and diesel variants. According to Tata Motors, the petrol variant is priced between Rs 5.20 lakh and Rs 6.65 lakh, while the diesel-powered version's cost ranges between Rs 6.09 lakh and Rs 7.38 lakh. 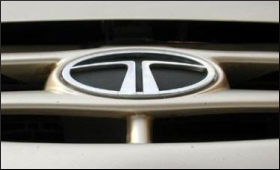 "The compact sedan segment has been an important space for the customers seeking premium-ness at best value coupled with bold and attractive looks," Guenter Butschek, CEO and MD, Tata Motors said in a statement.